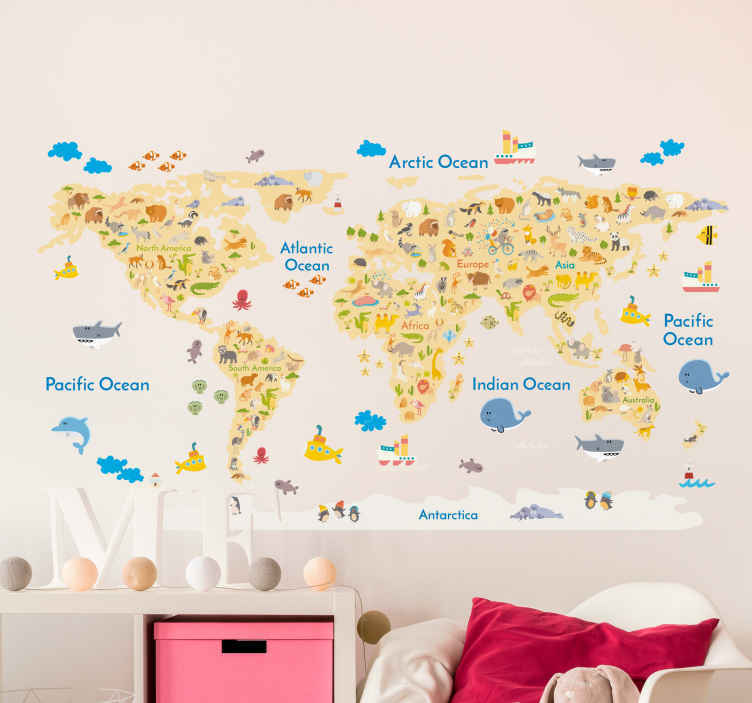 A creative kids world map decal that shows the wild animals from around the world and where they come from. Can be used as a kids bedroom sticker or a classroom or nursery wall sticker as it is educational. The educational wall sticker will teach children what each animal from around the world looks like along with teaching them the world map and which country is where! Whether your child´s favourite animal is a lion, dolphin, kangaroo, bear or giraffe, they will be able to find them easily on this amazing world map! The wild animal wall sticker comes in different sizes and is easy to apply. Our stickers are also made from high quality, anti-bubble and are easy to remove.